In line with market expectations, Infosys on Friday approved buyback of shares, its second in less than two years. The company said it would buy back 103,250,000 equity shares, which is 2.36% of the paid-up capital of the company as of December 31, 2018. The buyback size stands at Rs 8,260 crore at a maximum price of Rs 800 per share. The buyback value per share is at a premium of 14.6% on the current market price. On Friday, the company’s shares closed 0.58% up at Rs 683.70 on BSE. The company has constituted a buyback committee (Buyback Committee), comprising the COO, the CFO, the Deputy CFO, the General Counsel and the Company Secretary of the Company. “The Buyback Committee has the power to do all such acts, deeds, matters, and things as it may, in its absolute discretion, deem necessary, expedient, usual or proper in connection with the Buyback,” the company said. It has also announced a special dividend of Rs 4 per equity share. 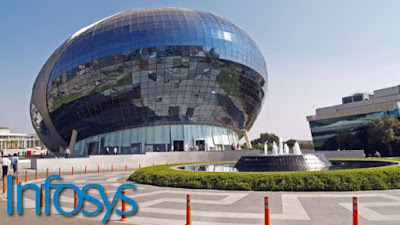 Infosys will spend further Rs 2,107 crore over the special dividend. In June 2018, it had announced a special dividend of Rs 10 per share resulting in a payout of Rs 2,600 crore.